There has long been a pub and restaurant on the site of The Royal George on Irsha Street Appledore but the latest incarnation presents this historical building in probably it’s best ever light. The location of The Royal George, literally overlooking the water where the Taw and Torridge rivers meet. The view across the water to the pretty estuary village of Instow is magical and if you are lucky to be there on a bright summer’s evening there is nowhere quite like it, although even on a dark winter’s night the lights across the river create quite an atmosphere. 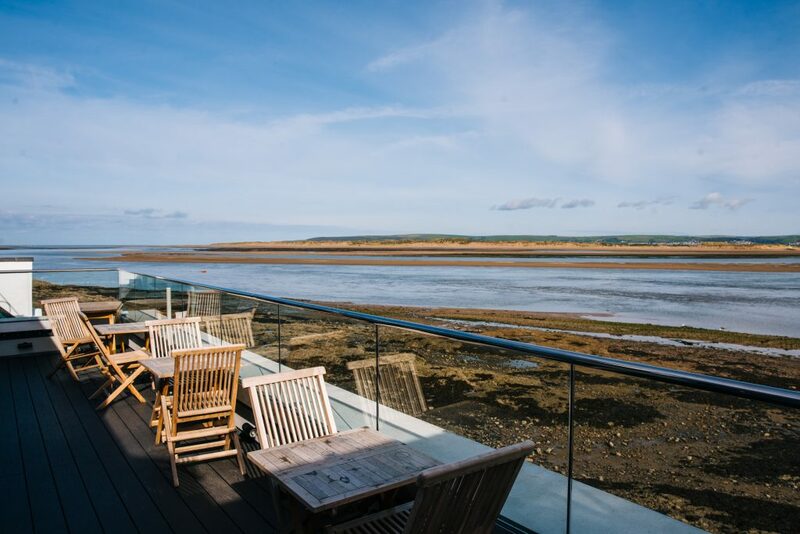 The pub has recently been completely refurbished by the new owners, retaining many of the old original features and capitalising on the incredible waterside views with large glass windows right across most of the front of the building. The menu is of the highest a la carte standard often with a twist and features fresh local produce wherever possible. The Curried Smoked Haddock Scotch Egg, Tandoori Spiced Fish and Sticky Toffee Pudding with Pecan Pie is unique and quite exceptional but try everything it’s all fantastic but at once! 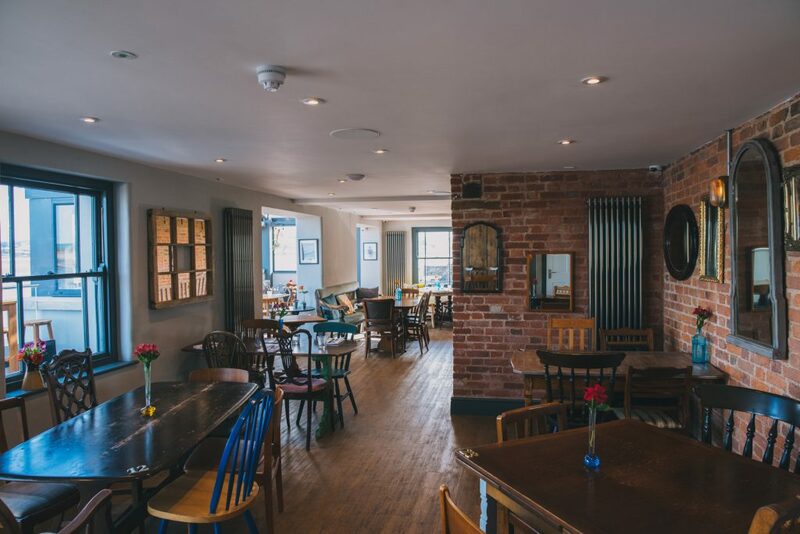 The Restaurant Inn has a varied and excellent wine list as well as local beers and Gin to compliment the wonderful food. 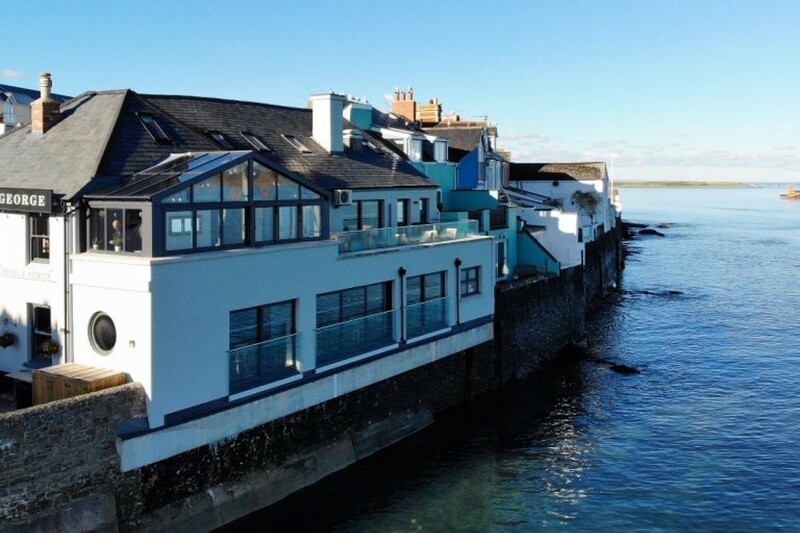 The Royal George is situated in the centre of Appledore and a short walk to the ancient quay and there is a small beach as well as a Ferry in high season across to the village of Instow and the pretty estuary beach.